Invest in your hair, it's the crown you never take off. Hair dressing is not a job, it's a craft. Highly recommend! My hair always looks perfect, prices are reasonable, the salon is clean and conveniently located. This place deserves more than 5 stars! Joe did an amazing job on my hair and he took excellent care of me. Guys, if you're looking for a barber, Joe is your guy. Affordable, quick, and awesome service. Posh listens to your needs and always delivers. My hair turns out fantastic each and every time! I can book my appointment online, so no three hour wait. I couldn't speak more highly about this salon. Our mission at Mane Event Salon is to bring out our clients' inner beauty. Our posh salon uses modern techniques to perfect the sophisticated and fashionable style you've been looking for. We guarantee that you'll walk in feeling comfortable and leave feeling confident. 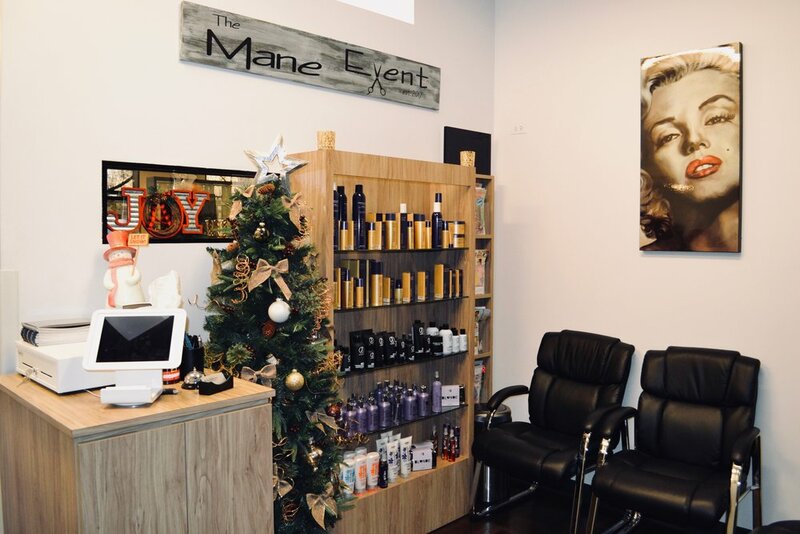 Established in 1980, Mane Event Salon has provided our clients with 30+ years of a relaxing atmosphere where you can sit back and let our experienced stylists bring out your natural beauty. Our salon is owned and operated by Posh Saverino who brings her wealth of knowledge in specialized cuts, custom colors, and premium treatments. Our team of experienced stylists and barber will learn more about you to create a custom style to fit your lifestyle. 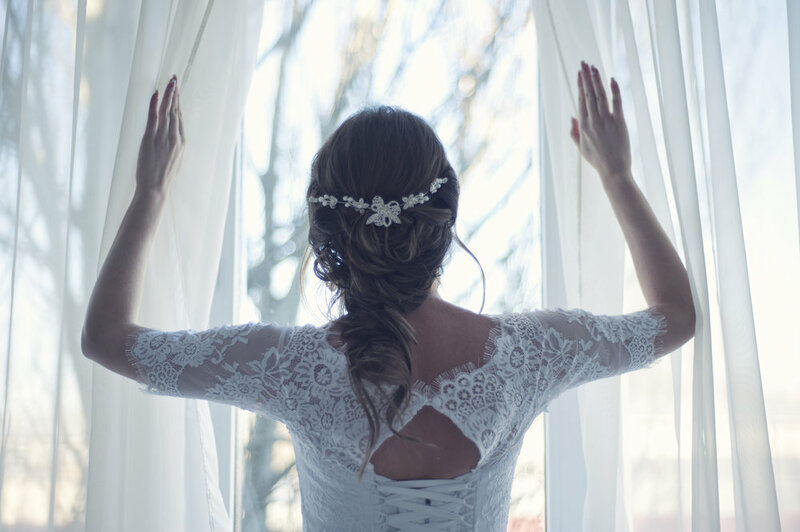 Book your appointment with us today! Posh began her beauty career early on in 2004. After beauty school, Posh joined an apprenticeship program working with top industry stylists and gained knowledge of cutting-edge techniques and styles. Through referrals, Posh’s clientele began to sky rocket allowing her to build a station in her home to work as a stylist for 10 years. In 2017, she was offered a position at Mane Event which she now owns and operates. Karen's 27 years as a licensed cosmetologist has allowed her to master her skills in hair color, highlighting, and cutting. She frequently attends beauty shows to stay updated on the latest fashion trends and techniques in the world of hair. Lois has 39 years of experience perfecting her craft. Prior to joining The Mane Event family, Lois worked as a Master Designer and Artistic Director performing platform work and hair competitions. She maintains a passion for hair and enjoys researching the latest cutting edge hairstyle trends. Joe was the founder and mastermind behind Mane Event Salon with 49 years of experience perfecting his craft. He has transitioned to become the salon's in-house barber. Joe has been a mentor to many stylists over the course of his career and has built a team environment which continues to this day. As a licensed nail technician for 24 years, Bo's passion for nails is seen throughout her work! Bo is always up to speed on the latest nail fashion and techniques, and is also fluent in English and Polish. We carry the highest quality products in the hair care industry. Our stylists will consult with you to ensure each product fits your needs. Our experienced team will work with you to discover an individual style to make you look and feel your best! We promise excellent quality and attention to detail during each visit. From the main entrance, ask the security desk for directions to Mane Event.